Step 1: Create a New Page. 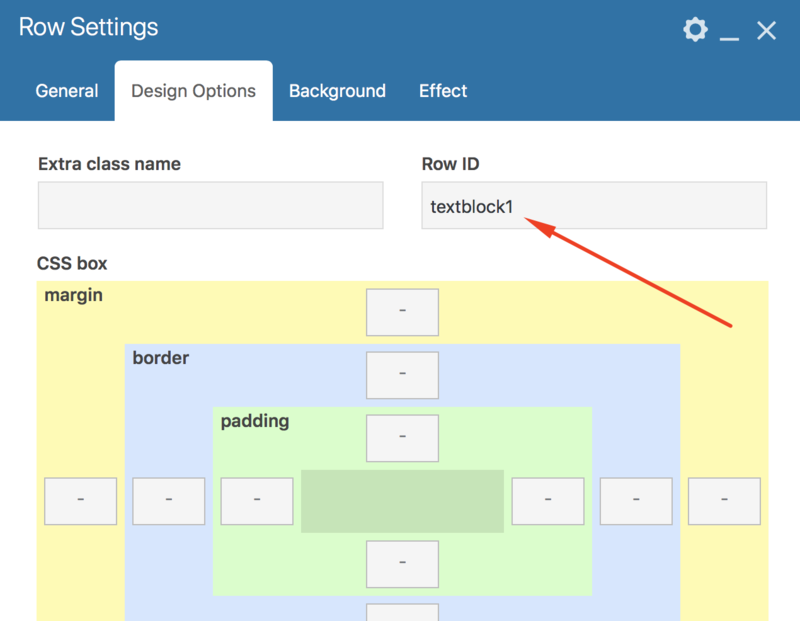 Add new rows and append content you need. Step 2: Click on Pencil icon to Edit this row. Fill the Row ID field, which must be without the leading hash. Step 3: Navigate to Appearance > Menus and create a new menu. Then add Custom links to those rows in your menu, each link would look like this: http://yoursite.com/#textblock1. Note that link must be not just “textblock1”, but “#textblock1” (with leading hash). Those links would be acting as smooth scrolling links to rows on your page, and will lead directly to those rows.